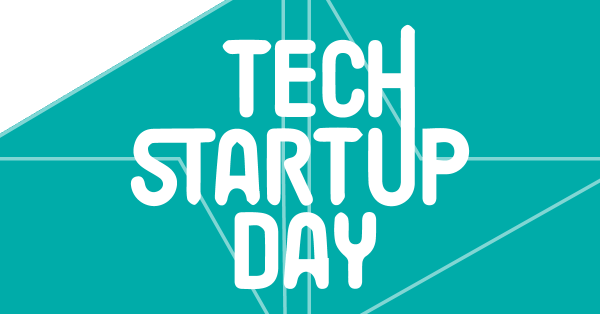 With more than 90 participating organizations, workshops, international speakers and a lot of networking opportunities, Tech Startup Day is Belgium's foremost startup conference. On top of the already stocked programme, a number of innovative companies battled it out for 4 different awards, selected by a who's who of the Belgian technology landscape. The nominees were officially announced on January 19th. 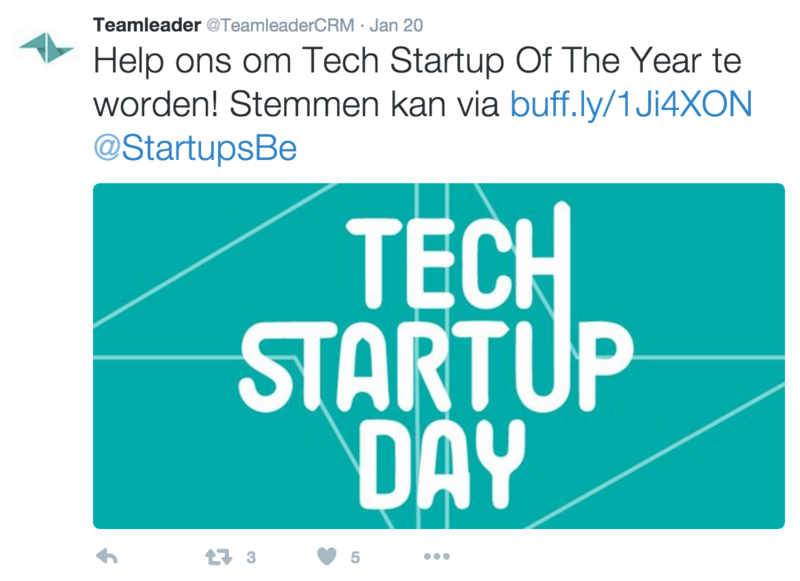 Excellent news for us: Teamleader was nominated in the category Tech Startup of the Year. 20160219-NIEUWS-61 from AVS on Vimeo. 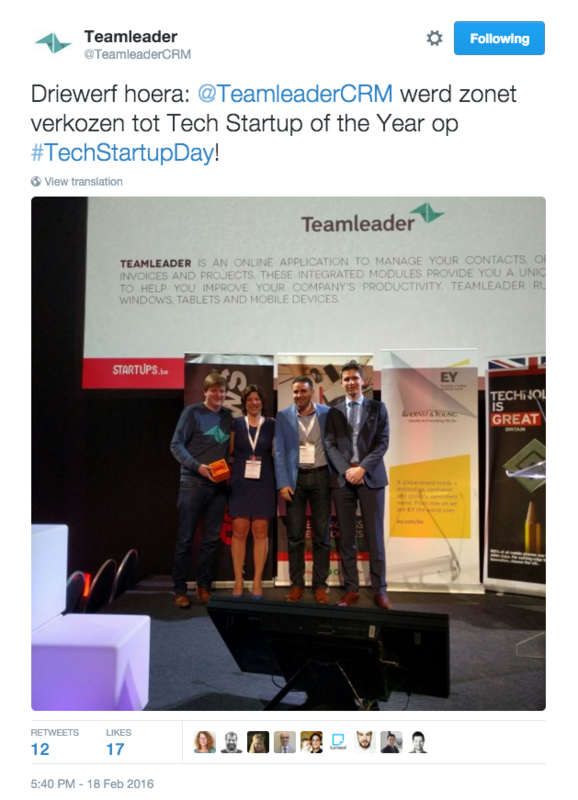 The level of the Belgian tech scene is through the roof at the moment, so our fellow nominees were of the highest caliber. That's why winning this award feels exceptionally good. All that's left for us is to thank our many voters, our loyal customers, and everyone involved in the organization. Don't worry: we're not resting on our laurels any time soon. Thanks!